Just click on the picture to enlarge it. If you know the people in these pictures then please send me the information so I can add it to this page. John, Bill, Pat, Jimmy Sizemore and ?? Jessie Dennison with baby Ernie. Eddie Dalton 5th Grade Band Broad Creek Elem. Anne Beach and Patty McDonald in the middle. 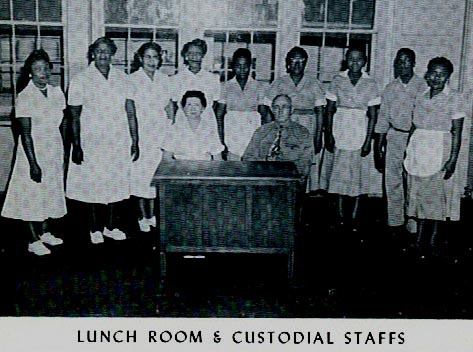 Lunch Room & Custodial Staff Mr. Taylor and Mrs. Mixon Safety Patrol S.C.A. Faw (Bo) and Glenn Miller Tim Soyars and sister Sheila Soyars. 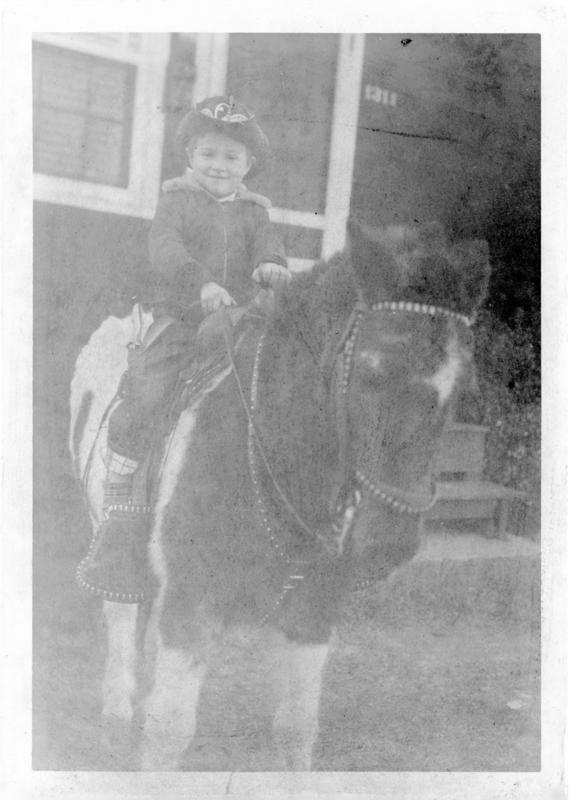 The pictures is 1948-49 Ronnie Horton on horse in front of her house. A man came thru the neighborhood with a horse and took pictures of the kids for a fee. Ronnie Hortons birthday party age 6. Some of the kids in photo are Roger & Edwin Beachum, Burton Stephens, George 7 Tommy Midgett, Van and Bruce Vanlandingham. Left side is Monica, Sheila and Jackie Rothell. This was 1953. *This is a picture looking down Ingleside Road towards Sewells Point Road with the Stores on your left. I remember the shopping center with a post office, Colonial Store, Peoples Drug Store, and Bill's Barber Shop. There was a covered bus stop on the corner in front of the shopping center where we caught the bus to downtown Norfolk. I lived in the corner house that you see above the white truck in the picture. My dad repaired television sets and there was a neon sign in the window that said "Norfolk County Sales and Service TV repair". *3506 Sewells Point Road (later changed to Village Ave.) Norfolk County. 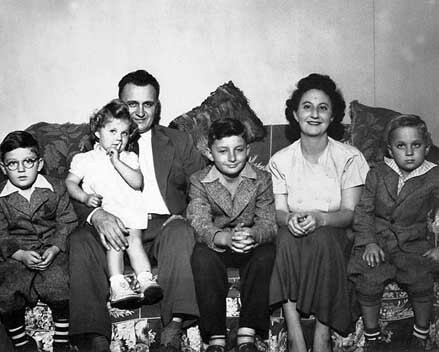 Robert and Dorothy McDonald with children, Bobby, Billy, Johnny, and Patty and dog fluffy. 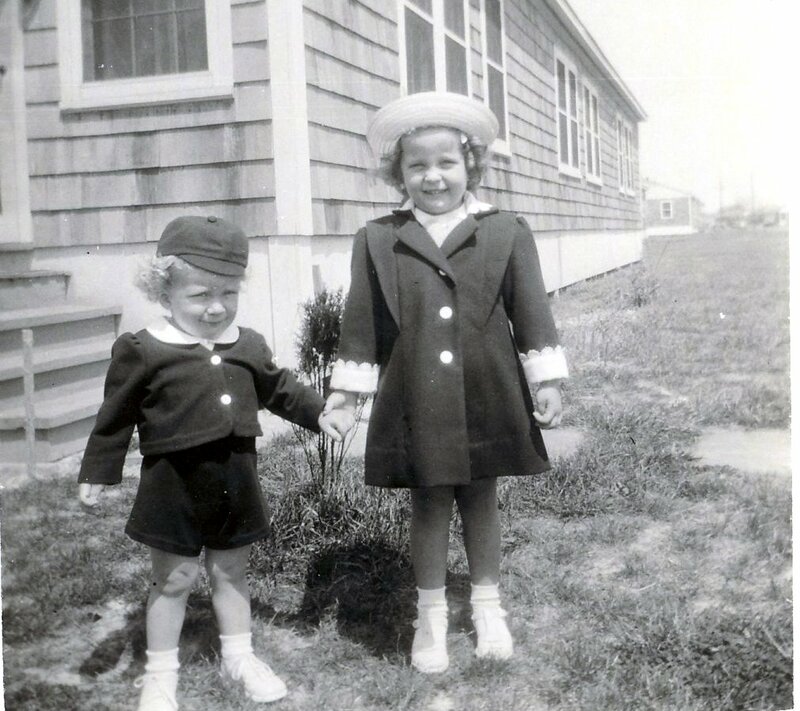 *1203 Ingleside Road, John and Claudine(Deenie) Beach lived with their three daughters Barbara, Belinda(Binnie), and Anne, with their dog snookie. *3702 Sewells Point Road, Ivan and Roxie Staten with sons Johnny and Jimmy. *3508 Sewells Point Road, Albert (Al) and Jessie Dennison with children son Ernie and daughter GladisRay. *1303 West Woodlawn Ave., Clyde and Helen Stephens with children, Donnie (Clyde), Richard (Dickie), Burton and daughter Beverly. *West Big Ben Court, Charlie L. Murphy and Gilberta Murphy with sons Kenneth D. Murphy and Jackie Ray Murphy. *3705 Parkland Road. It was the last house before the first circle, past West Highland, going East on Parkland Road from Ingleside road. Bobby Kowalski lived behind me, so did Malcolm & Betty Paul, Joe Carroll and Clara, Tainy & Pasty Hassle. I went to Broad Creek Elementary school and I believe I have a picture of our Boy Scout troop from Broad Creek. I also went to school with Jimmy Sizemore. I remember when he was killed. David and Brenda Webster lived on Kingwood road as well as Mickey Ferris and Billy Joe Radford. David, Billy Joe, Bobby & Mickey were in our scout troop. There was a girl that lived on the corner of West Highland & Parkland named Dottie Ann Smith, who's is now married to a police chief in Palm Beach, FL. Her email address is DBrads1114@aol.com. I'll look around and see what pictures I can come up with. It was a very pleasant surprise to find this website and relive many great memories. I won my first Yo-Yo contest at the Peoples Drug store. I used to take out their trash for a cherry coke. Always got my haircut at Bill's & my and my Grandmother caught the bus to downtown Norfolk many times at that bus stop. I, like you, had no idea we were poor until my Mom remarried and we moved to Estabrook and I went to Norview. Thanks for putting up the site. My Mom was Estelle Dalton & my Grandmother, who lived with us, was Lilly Mae Faulk. *Eddie Dalton Norview Class of "59"
1221 Big Been Road (a court) also behind Bobby Kowalski, somewhat. I remember some of the folks mentioned in the letter, along with these others: Ray Powell, Stuart Bryant, Poochie Lipscomb, David Falkner, Everret McGraph, Roger Nelson, Billy Joe Radford, Charles Wood and sister Nancy Wood, kathleen Rooks, Carolyn Hollenbeck, Donnie Pope, Rodney Terry, Dieter Krause and a lot of others that I can't recall their names. I, like many others, moved into Broad Creek at about three years of age, my father being employeed at Norfolk Naval Air Station. Yes, we didn't have any idea we were poor, had everything we needed, mainly good friends that shared many days and evenings with sports and general mischief. 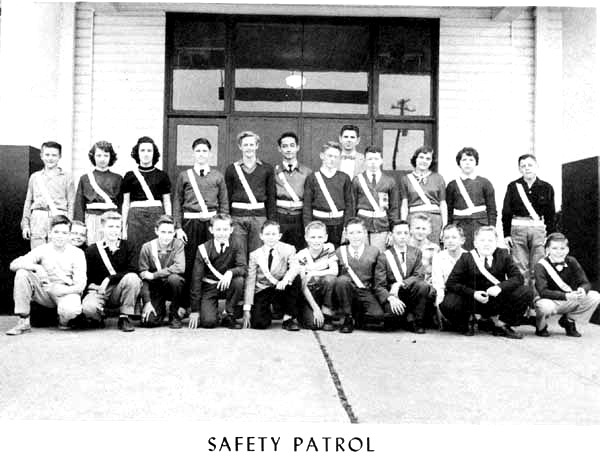 I was also in BSA Troop 22, meeting in the Civic Building, in Foxhall. I believe the scoutmaster was a fella named Newton? My close friends in the troop were David Faulkner (an Eagle Scout) and Billy Joe Radford. Now , Billy Joe Radford and I had some great experiences in the scouts and at Broad Creek Jr. High. Hated to see him end up at Granby , but that's where his parents moved after leaving the village. My mom (Evelyn Hardison who did a lot of substitute teaching at Broad Creek Elementary) and I practically had to be kicked out of the village, she being determined to stay as long as she could. That was a day to remember. Would love to hear from any of you former villagers. *I was born January 30, 1945 and was too young to remember when we moved to Broad Creek Village. We first lived on Big Bend Court and the last address at which we lived in Broad Creek Village was 1025 Kingwood Avenue. 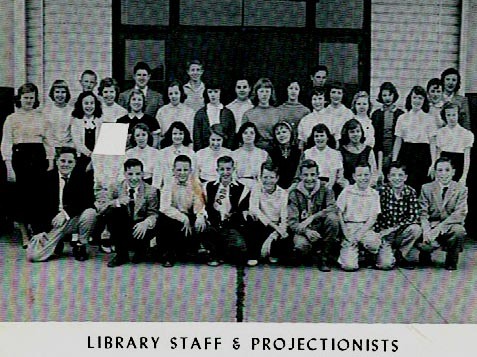 We moved from there to 1531 Norcova Avenue in 1956. 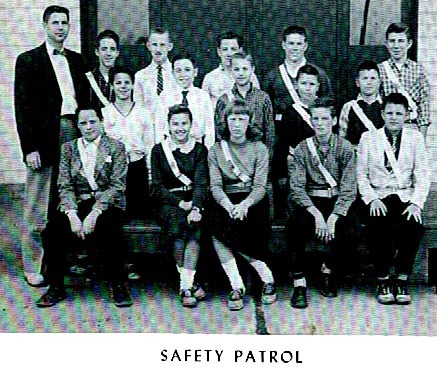 Mr. Ames is in the picture with the safety patrol. My dad and mom are George W. Elliott and Marilyn B. Elliott. I have an older sister, Carolyn, a younger brother, Bob (who passed away in 1995) and a younger sister, Catherine. I was friends with a Larry Isrow and have lost track of him. I used to play sandlot football with Tommy Tatum and a bunch of other kids. I attended 1-3rd grades in a little school just down the street from Pine Ridge Elementary and my teachers were: 1st grade-Mrs. Barr, 2nd grade-Mrs. Wicklip and 3rd grade-Mrs. Barrett. 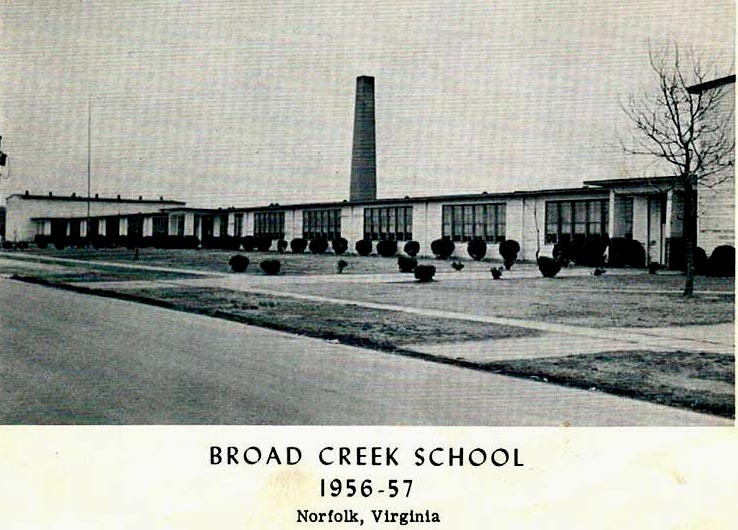 I attended Broad Creek Elementary for 4th and 5th grades with Mrs. Henry and Mrs. Vergakis. I went to Coleman Place Elementary in 6th grade with Mrs. Pritchard and Sherwood Elementary in 7th grade with Mr. Ames. *I used to live at 1376 West Big Bend Road (in one of the courts). My stepfather brought me, my mother and my sister to Broad Creek after he got out of the Army in 1947. We lived there until 1954, after which time they moved elsewhere and I joined the US Navy. My parents names were Clarence and Evelyn Saunders. My name was "Raymond" Simonin and my sister's name was Shirley Simonin. We had friends in the court named Dot and Gordon Crombie. They had a son named Terry that I used to pal around with. Also in the same court was the Wood family. I remember a boy named "Sonny" Wood living there. My sister and I attended Broad Creek Elementary School. I later attended Norview High School before joining the Navy. I have fond memories of growing up in "the village" and think of them often. *Hello John, my name is Pete (Petey) Philbrick. 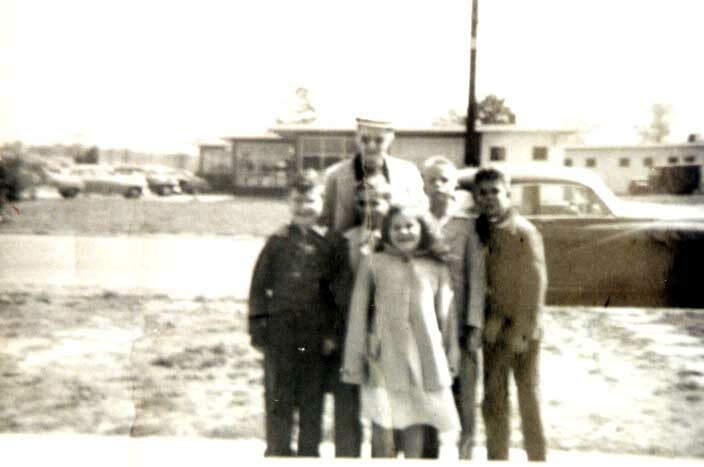 My parents, Pete and Ellen, and my two brothers, Jerry and Ronny, lived at 1134 Pineridge Road from 1946 to about 1958. Our house backed up to Pine Grove and All three of us graduated from Norview (1959, 1961, 1963) and my two brothers both finished College. I have very fond memories of living there, like most folks that lived there, we did not know that we were poor. There were some very rough,rough, people but there was also many, many extra nice people that were our neighbors. 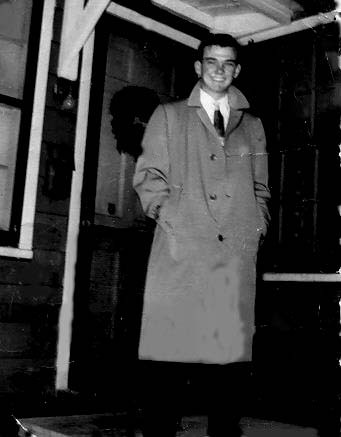 Our neighbors were the Peeles, who son Bobby Graduated from University with a masters in Electrical Engineering and went to work for Bell Telephone Labs. Right next door was the Self's, and I believe that most of their children graduated from College. 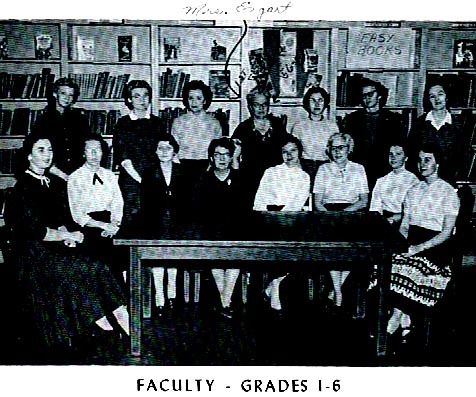 On the other side of me was an old maid teacher, Dorothy Wilkerson, who taught at Maury. The Davis boys, lived just down the street, I remember Charles, Bobby, Gleason and Alfred The Davis boys had an extremely pretty sister and I think her name was Caroline. Bobby Hull lived just down the street near Donald Weaver. Edward Pierce and his sister also lived nearby. Directly across the lived the Bishop's, Harry and his sisters Charlotte, Nancy and another that I can't remember her name. The Black's also lived nearby, Elbert, Terry and I believe Shirley. I carried newspapers when I lived there, both the morning and the afternoon. Made it much easier when it came to "go collecting" which was the hardest part of the newspaper job. The cost was $.25 without Sunday delivery and $.40 including Sunday. I had to go back many, many times to collect, as people just did not have the money to pay. Most were honest people that would eventually pay, but when they started to close the Village down and people were moving out, many moved without paying and I had to quit delivering because I was actually losing money on the route. I live in Arizona now, but if someone would organize a reunion, I am sure that I would attend. *Comments: My name is Larry Watts and I lived at 1103 Ingleside Rd. 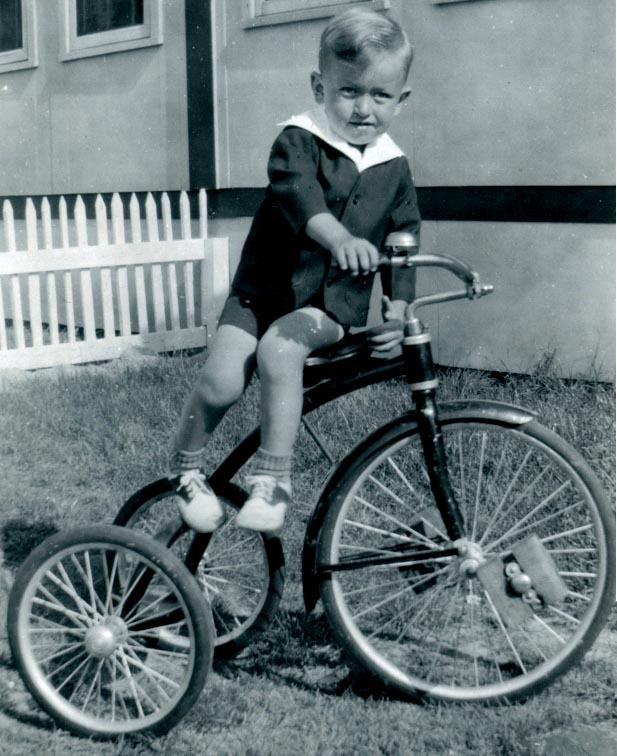 from the time I was born in 1946 until we moved to Ballentine Place in 1954. My parents were Eugene and Jeanette and my sister's name is Kathy. As you stood facing my house, Ronnie and Ashley Sears and their parents lived immediately on my left and immediately to my right was Jimmy and Dutchie Doughtie and their daughters, Rita and Delores. 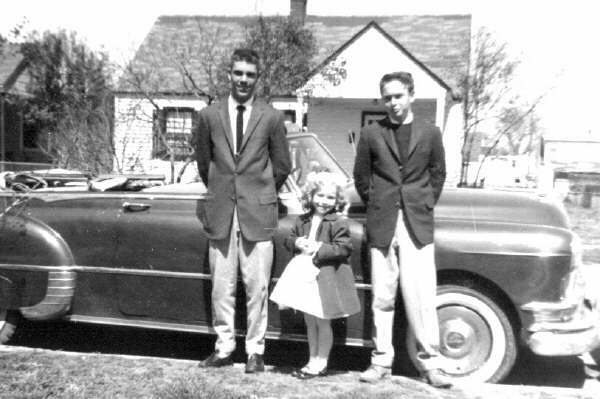 Immediately to their right was Jimmy and Edna Stocks and their sons Richard (Dickie) and Steve. The Hanks family lived across the street from us and I have a picture around here somewhere of the Hanks girls, Irene and Anita posing with me in the snow in our front yard. They were both considerably older than me. For some strange reason, I had it in my head that one of the girls was named Nancy but I suppose that was Anita because I know the other one was Irene. I went to Ingleside Elementary in the first grade in the old National Guard Armory on Ingleside Road. I think it wa s also a recruiting station somewhere along the line. I went to Pine Ridge Elementary in the second grade and had Mrs. Gustafson as a teacher. I then went to Broad Creek Elementary in the third grade and had Mrs. Wisenhunt as my teacher. 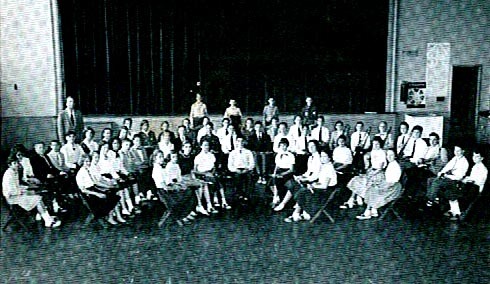 Then we moved to Tait Terrace in Ballentine Place in the summer of 1954. As a side note, I worked with Bob and Bill on the Norfolk Police Dept. I know Bill left many years ago and, if my memory serves me correctly, I think he initially went to work as an investigator for an attorney. I know he eventually opened a restaurant/bar in South Norfolk called the Fifth Precinct. If that picture on your website is you, it stopped me cold. It's amazing to me how much you and Bob and your dad, for that matter, look alike. I first saw the b&w photo of your family and thought how much your dad and Bob resembled each other. Then I saw your pic and I was even more amazed. Okay, time to stop boring you but I really enjoyed the pictures you have posted. *3400 Block of North Woodlawn Ave, Hello, thank you for your site. My uncle recently passed and he and my father lived in BCV when they were young. I remember my uncle mentioning BCV off and on but I never got to see the place. Not sure when it was razed and became the Industrial Park, so it's kind of nice to see some pictures. My grandfather's name was George Heilig and he worked at the Norfolk Naval Shipyard. My dad was George (Sonny) and my uncle was Ed (Mann). *The Scott family lived at 1210 E. Woodlawn. Joe and Ada Scott and their two sons Joe Jr. and Rudy. Joe Jr. is a Retired Norfolk Police Sgt. and is currently a bondsman. Rudy (me) is also retired from the Norfolk Police Dept and is currently a deputy sheriff. 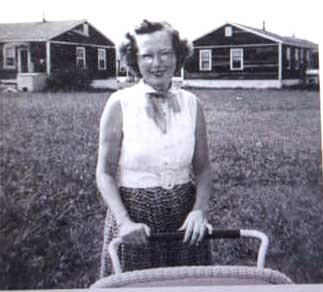 The Miller family lived in the same court and later moved to the same street in Lynnwood shores, Faw and Edith Miller with their kids Bo, Glenn, Marvin and Brenda. *1256 West Woodlawn Ave - - Watson, Allden, Sr ( Curly ), Ethel, Allden, Jr ( AC ), Wayne, Wally and Pixie. My family�lived in BCV�from 1945/46 until 1957/58. *Dan Nate, David Nate and Dennis Nate, sons of Chief Petty Officer Francis Nate and Jean Nate. We lived on the first street behind the shopping center (food store/market), which was on a 4 laner, but we had a 4-5 acre field between our house and the market. I got hit by a car in front of the market, after getting off my school bus. As I crossed the highway, all was cool, but I spotted my "very good-looking baby-sitter leaving the store so I ran across the parking lot, got to within 25 feet of the front door and suddenly saw the biggest, MOVING black Buick ever, bearing down on me...then the lights went out, as I was hit. The male driver got out and picked me up, as I was unconcious, and turned to the crowd asking if anyone knew me. Luckily the same pretty young woman that I got hit over spoke out, gave him my name and address, but I awoke at that moment, scared, in pain, and bit the man, who then dropped me, in surprise. I then RAN around the back of the shopping center, across the big empty field, up my front steps and threw myself under my bed, afraid I was in big trouble. Next thing I knew the driver was at our door, as were my babysitter and the police, ALL looking for me. They explained to my Mom, who then pointed under my bed. Dragged me out, took me to Bolling Green AFH and the diagnosis was a broken collar-bone. *I lived at 1311 West Woodlawn Ave with my Step-Father Wavely Richardson, Mother Elizabeth and brother Donnie Richardson. 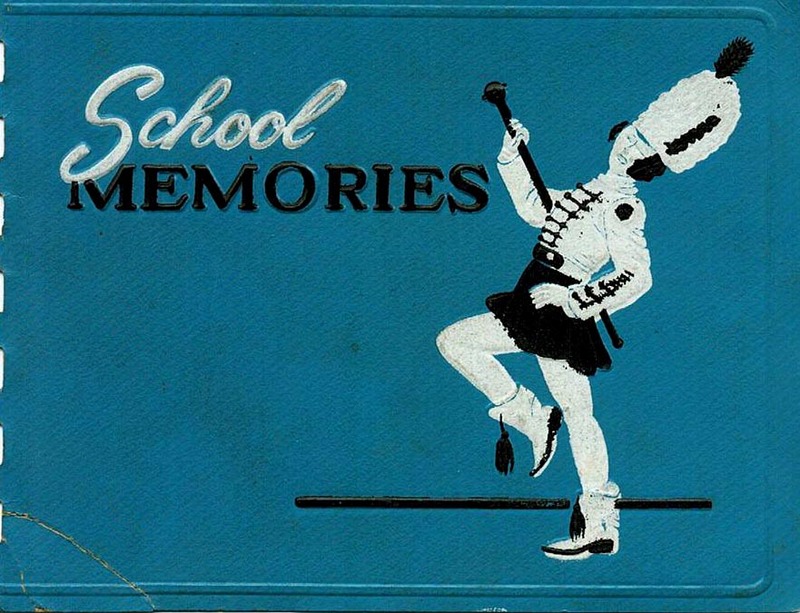 I attended the First grade at Ingleside Elementary School 1953-54 and then Second thru Fourth Grade at Broad Creek Junior High School 1954-1957. Our neighbors were: Mr. & Mrs George Vanlandingham and their children Van, Bruce, Nancy and Renee. George and Tommy Midgett, Jackie and Shelia Roththalia. Hope you can use the photos for your site. Some of the children I can identify others have been lost to my bad memory. 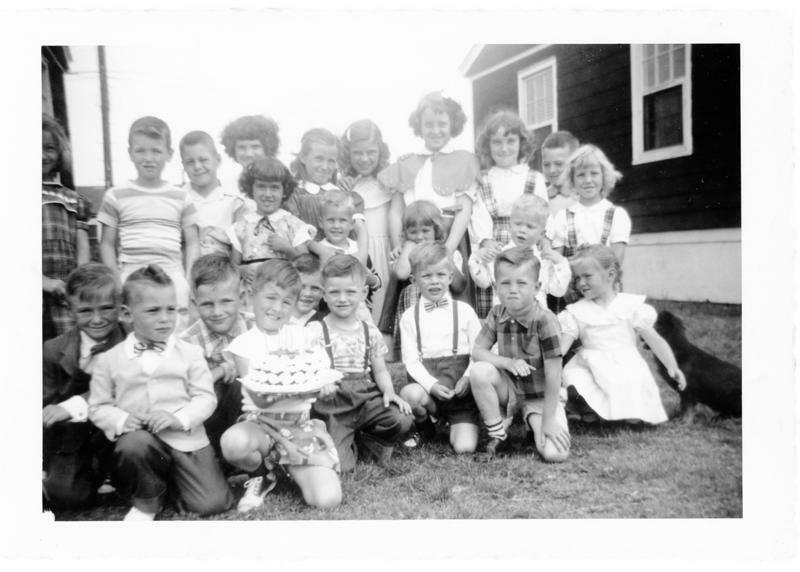 1st Photo: My birthday party age 6. Some of the kids in photo are Roger & Edwin Beachum, Burton Stephens, George 7 Tommy Midgett, Van and Bruce Vanlandingham. This was 1953. 2nd Photo - Me on horse in front of our house. A man came thru the neighborhood with a horse and took pictures of the kids for a fee. 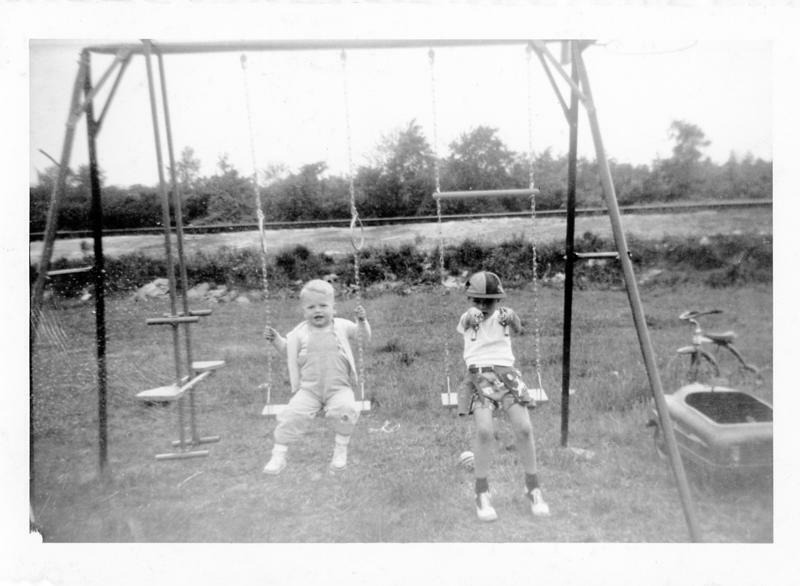 3rd Photo - Me and my brother Donnie on our swing set, the railroad tracks were in our backyard. 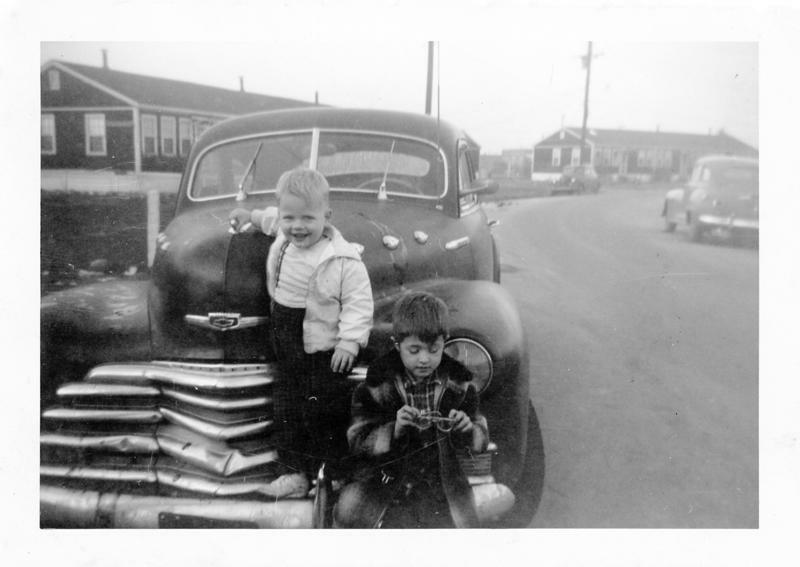 4th Photo - Me and my brother Donnie on our car in front of our house. I will try to register on your web site. Please let me know that you have received these photos. *1111 Woodlawn Ave. next to the RR tracks. Nathan, Hazel, Clara, Jean, Elmer and Gerald Cool. I was born in BCV and lived there until I was 4 (1945-1949).Moved to 139 Cumberland Ave. which later became 5151 Kennebeck Ave. I still live in Virginia Beach, Va. as does Clara. Jean lives in Chesapeake, Va.. Elmer lives in N. Little Rock, Ar.. Nathan and Hazel have passed away. *1202 (East or West? - I can't say right now and cannot find my papers) Woodlawn Avenue in BCV from May 1943 until November 1948. My parents names were Roy and Mildred French, and my siblings were Wayne and Charlotte French.� Both parents died in 2004. 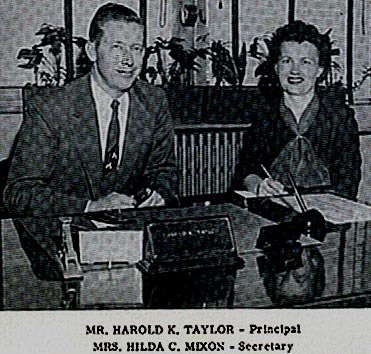 W and C graduated from Norview HS, he in 1956 and she in 1957. BCV was frequently mentioned in our home, and we often went to shop in the stores there, and later I remember going to Dr. Horton's office there. BCV always (who knows why?) had a special allure and fascinatioin for me -- whether it was the feeling that it was a real community or just wondering about my family's life before me. *Mary Davis: 1234 Rush Street. 1945 to 1958. All of the surrounding units were boarded when we left. I lived next door to Wayne, Juanita and Essie Hale on one side and Kay Williams on the other side. Also on Rush street were Benny & Tana Lane, Doris & Joyce Bridges. Around the corner was Barbara and "Petey" Peterson. Judy Holland lived over one block. 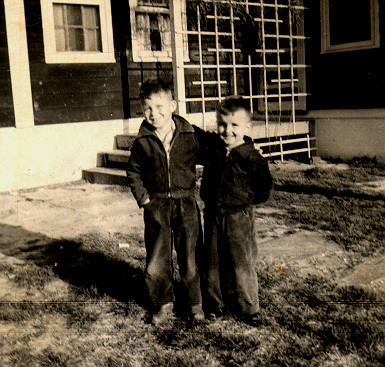 Galen & Wayne Edney: South Highland until 1956. Lived down the street from Dicky Johnson. *4000 South Highland on the corner. My name is Shelton F Williams, Father Edison and Mother Audrey and Half Brother Larry McClellan lived in the home. 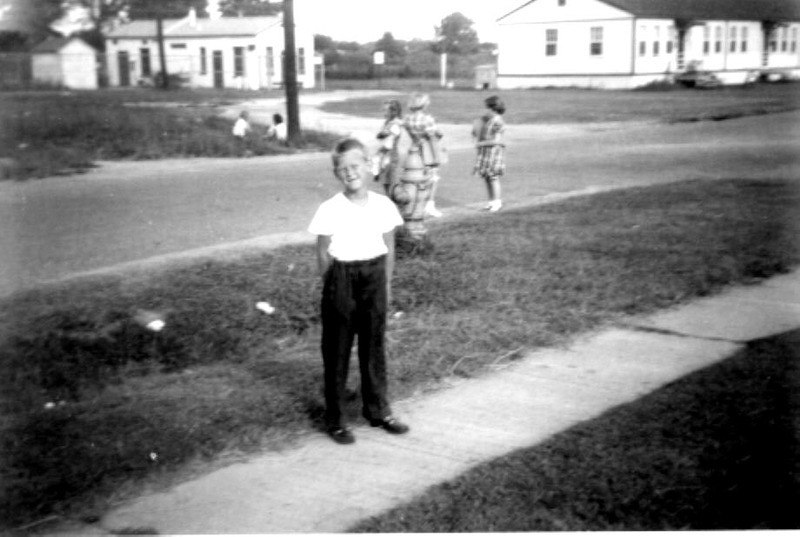 We moved in early 1954 to 1033 Philpotts Rd in Norview so my brother could go to the new High School...I believe we moved there in 1948 from 48th st.
*1180 West Woodlawn Avenue, Andrew and Eunice Creekmore with Andrew Jr (Ted)(me 1944-) and my sister Linda Creekmore (1947-). I spent a lot of time in the nearby court where many children lived. A few I remember are: Ricky Moore, Jack Christmas, the Dowds, Mr. Hicks, Scottie and David Gurganus and their daughter Bonny(1947�); Jerry Agalini, Gil Cobern, Garney Scott, Vernon Chandler Jr (Bub) Ted Tindle, Peggy Baxter, Jimmy Freeman. *2921 Big Bend Road from '45 to '49. Mom and Dad were Spencer and Mary Butler and a younger brother named Clyde. 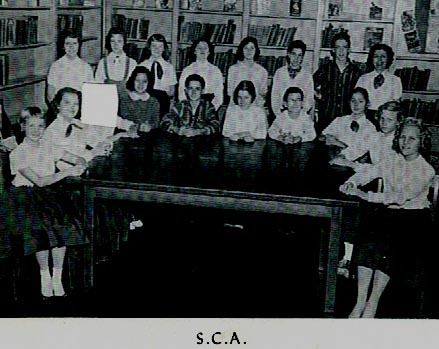 Attended Coleman Place School, Ingleside School and Broad Creek Jr. High until 1954. Graduated from Norview High in 1958. Grandparents lived @ 1303 E. Woodlawn Ave. until they were forced to move in 1958. Their last name was Lanier. I now live in Birmingham AL, a widower with 3 grown children and 11 grandchildren. *4029 North Highland Avenue, My name is Priscilla Ann Whitehurst Day. I lived in Broad Creek with my parents Hazel and Billy (father passed away in 2001 and mother passed away in 2009) and on 4029 North Highland Avenue until that area was razed and then moved to 1335 Brookside Avenue. We lived there until June 30, 1958, which I believe was the last day people were legally allowed to live there. We moved from there to Princess Anne County, in Bellamy Manor, on the corner of Providence Road and Virginia Beach Blvd. Of course, it soon became Virginia Beach. I graduated from PAHS and later from Radford College, becoming a teacher and retiring eleven years ago after 35 years. I have very fond memories or Broad Creek and the wonderful people who lived in our court on North Highland Avenue, especially, and I'm still in touch with a friend of my mother's who lived there, Elsie Williams (husband Harry now deceased) who had four children and lived on North Highland but not in the court. I remember many of the families there and also on Brookside and Pineridge whom I met after moving in the fifth grade. I went to Pineridge Elementary School and before that to a small school on Sewells Point Road that I had only first and second grades. I think it was connected to something like a rental office and there may have been a fire station next to it. Two of the teachers I remember there were Mrs. Tucker and Miss Anne Calevas, who later became a lawyer in Norfolk. 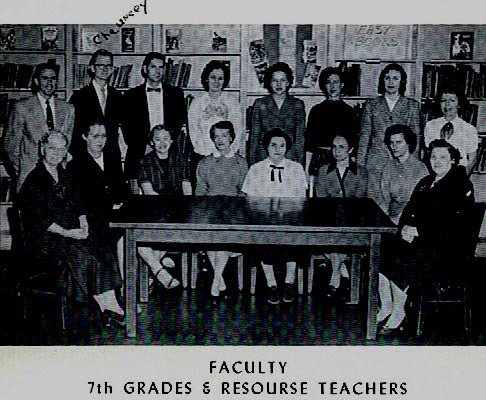 I know there was at least one other teacher but I don't remember who she was. *1331 N Woodlawn Ave from 1947 to 1952 right in the corner by the railroad tracks and Princess Ann hwy. Russell M. Pearson and little brother Joe. *FROM: Tim Soyars TO: broadcreekvillage@yahoo.com Message flagged Monday, July 11, 2011 My family lived in Broadcreek Village from the early 1940s until 1952 when we bought a home in Norview Heights. Add your name to the list of people who lived there. Abrams, Cooper, Mavis, David, George, Mary, and William lived on Center Ave.
Altice, Pat, June and Jimmy. Barnette, Abner, Otis and Claude. Beech, Claudine (Deenie) and John with daughters Barbara, Belinda (Binnie) and Ann lived at 1203 Ingleside Road with their dog snookie..
Belton, Cable and Catherine children Nancy and Dickie. Bratten, Freddie and his younger brother and their dog Joker. Briggs, Albert Henry Jr. (Buddy). Butler, Spencer and Mary Butler sons Wayne and younger brother Clyde. Clark, Henry N. and wife Betty Mae Brown and daughter Mary. Clements, Garnett and Nancy. East Meadow Road. Daughter: Roberta, sons: Jerry and Thurston. Moved to Lynnwood Shores in 1958. Roberta married Orion Waterfield and they have a son, Rusty, and a daughter, Cindy. Jerry still lives in the area, Thurston lives in the Richmond area. Cool, Nathan, Hazel, Clara, Jean, Elmer and Gerald. Crain, Leslie, Mary, and Clarence. Creekmore, Andrew and Eunice with Andrew Jr(Ted 1944-) and my sister Linda Creekmore(1947-). Dalton, Estelle with grandmother Lilly Mae Faulk and son Eddie, 3705 Parkland Road. Davis, Garland and children Betty, Nancy and Ruth. Dennison, Al with wife Jessie, son Ernie and daughter Gladis Ray lived next door to us on Sewells Point Road later changed to Village Ave.
Eckard, Coleson ( Coleen) and Eddie. Ferris, Mickey lived on Kingwood Road. Gard, Mary and son John Lanier. Garrison, James Albert and Osie sisters Evelyn, Hattie Sue, Celia Ruth, Martha Lucille and brother Albert Hugh. Gibson, Joyce and Steve lived in BCV and she graduated from BCV High School. Gibson, Mary Ann and Joe (Bubba). Hackston, Tommy and sister Pat. Hale, Wayne, Juanita and Essie. Hanks, Tenee, John, Irene and Anita. Hardison, Evelyn and son Don lived at 1221 Big Ben Road in the court. Harris, Derwood B. and Carma with children Linda (Paleface), John and Derwood. Harshbarger, Ervin and Elizabeth with sons Eddie and Doug. They lived on South Highland Avenue then moved to Parkland Road then to 1210 Rush Street. Eddie was in Boy Scout Troup 199. Doug attended Broad Creek Elem and Pine Ridge Elem. Hassle, Clara, Terry and Patsy. Heilig, George (Sonny) and my uncle was Ed (Mann). Hills, Clara with sisters and brother. Hobbs with sons Billy, Jack, Artie and Harry. Johnson, Fred and Patsy with children Brenda, Judy, Dicky. Kinnard, Bobby and brother Billy, sister and mom and dad was a Norfolk policeman. 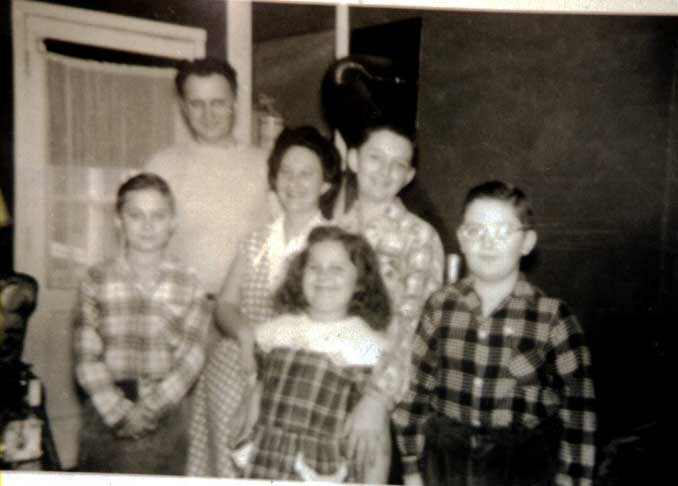 Leonard Family with children Betty Lou, Julian, Wilma Lou, Philip and Warren. McDonald, Robert and Dorothy sons Bobby, Billy, and Johnny and daughter Patty lived at 3506 Sewells Point Road with their dog fluffy..
Melton, Cecilia, Emily and Eddie. Miller, Bobby and Richard daughter Barbara (father died in electrical accident). Miller, Faw (BoBo), Glenn, Marvin and Brenda. Murphy, Charlie L. and Gilberta with sons Kenneth and Jackie Ray. Myers family, Henry, Tookie, little Shirley, father Gage T. Myers and mother 'big' Shirley. Nance, Jessie lived further down Village Ave towards Princess Anne Road. Nate Francis and Jean Nate sons Dan, David and Dennis. Nelson, Roger lived at 1327 Brookside Ave.
Overby, Mary Sue Johnson Ballance, sisters Edith, Johnni and Sharron. Overton, Leroy, James Jr, Franklin. lived on court at end of East Woodlawn Road. Pearson, Russell M. and Joe. 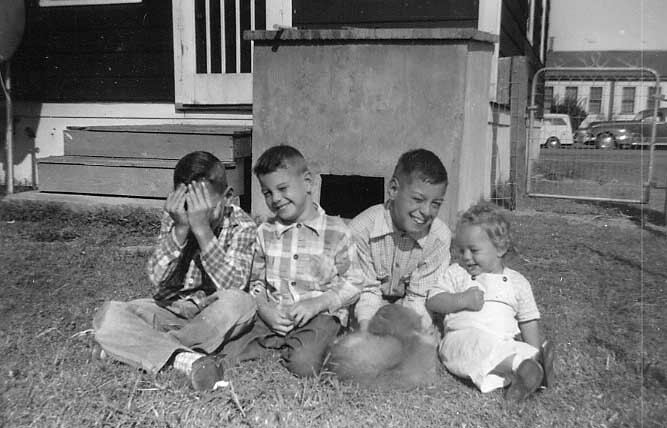 Philbrick, parents: Pete and Ellen children: Petey two brothers, Jerry and Ronny. Pope, Emma Lou, Eddie, Bobby and Donnie. Powell, Cecil, my dad, was the oldest, there was Frank, Ray, Patsy, Roxey, Willard, June and Joan. Powell, Emily, Betty and Billy. Ralph, Wanda, Bobby, Nan and Judy. Raper, Al and Nina with children Jim, Walter, Emmy Lou, and Lois. Reynolds, Minnie and Emmett with children Norma, Emmett Jr., Charles, Linda. Richardson, Waverly and Elizabeth, stepson Ronnie Horton and brother Donnie Richardson. Roberts, Steve was in our scout trope. Rothell, Jo and Quinton children Shelia, Jackie and Monica. Salyers, Arthur, Betty Jo, Shirley and Helen. Saylers, Jimmy, Jerry and Charles. Schultz, Harry with brother Did, Jimmy. Sears, William Ashley brother Ronnie, mom and dad was called Tex. Sizemore, Jimmy with mother and Aunt on Village Ave down the street towards railroad tracks. Smith, Dottie Ann and Linda lived on corner of West Highland and Parkland. Snow, Loretta and Hayden with children Johnny, Roger, Paul and Tim. Soyars, Tim and sister Sheila from 1940's to 1950's. Stanley Family. William and his wife Lina, and children Paul, Edna, Loraine, and Rosemary. Staten, with sons Johnny and Jimmy. Stephens, Clyde and Helen, children Donnie (Clyde), Richard (Dickie), Burton and Beverly. Stevens, Tommy and 3 more boys. Teague was the Scout Master and he lived on Ingleside Road. Trueblood, John and Myrtle Trueblood children Gordon, Jackie and Nancy. Trueblood, Martin and Phyllis and children Martin Jr. (Boogie) and Wanda. Vanlandingham, George and wife and their children Van, Bruce, Nancy and Renee. Voight, John and Rileigh who played professional football. Wall, Bobby and Billy, Shirley and Louise. Waterfields, Orion, SR. and Stella Waterfield. Sons: Orion, Jr., Charles Daughter: Sue lived at 3715 Sewells Point road, later it became Village Ave.
Watson, Judy and Joann (Valene). Watson, Allden, Sr (Curly), Ethel, Allden, Jr (AC), Wayne, Wally and Pixie. Watts, Eugene and Jeanette with Children: Larry and Kathy. Webster, David and Brenda lived on Kingwood Road. Weaver, Donald and his sisters. White, Coy and Margaret children Coy Jr., Harry and Bruce. Whitehurst, Hazel and Billy, daughter Priscilla Ann. Whitley, Ken and Joel. Williams, Shelton F, father Edison and Mother Audrey and Half Brother Larry McClellan. Williams, 1103 North WoodLawn Ave., Johnny and Wilma and sons Johnny and Donnie..
Williamson, Jackie father was a policeman. Wood, JB his older brother Smythe and younger brother, Freddie. I have bookmarked the site and am trying to contact a long lost cousin Alfred "little footsie" Borum. 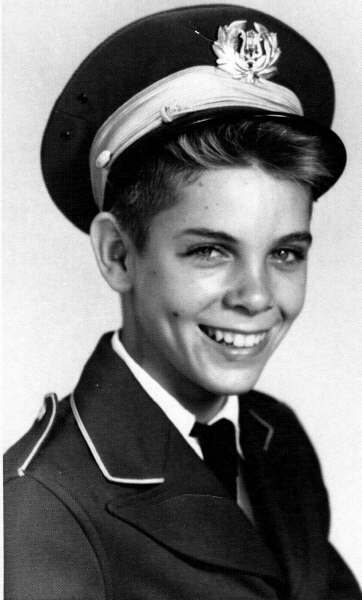 Do you remember him or any of his family, his sister was Joanne? They lived there in the early 40's. Also, did you know there is still one of the Broad Creek Village houses left...it is on rte 168 heading to the Outer Banks. Next time I go there I will try to get a picture of the house.